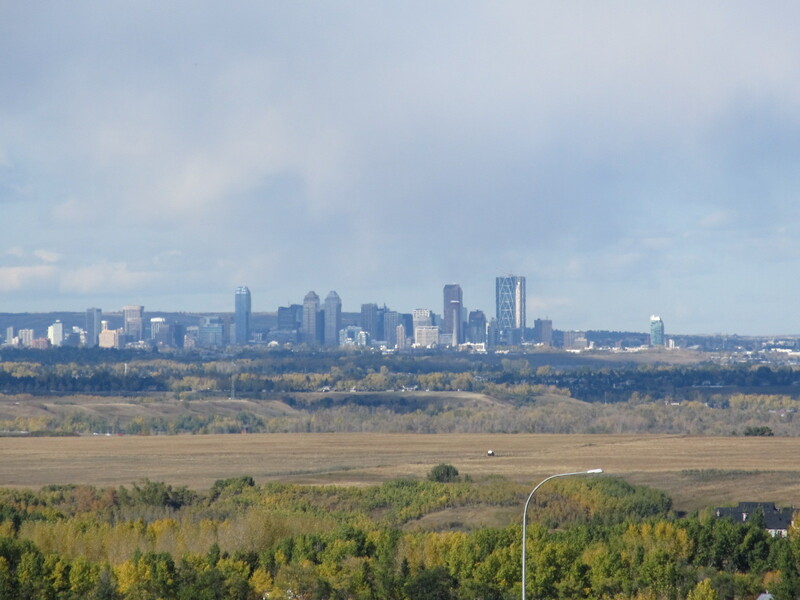 This is a short post featuring shots of the countryside around Calgary. Having lived in Montreal, Toronto, and Vancouver, Calgary always seemed pale in comparison. But that was from a cultural, urban activities perspective, which has vastly improved over the last decade. However, what always drew me back to this medium sized prairie town, all pushy with oil, was the quality of light, the vastness of the sky, and the countryside, including the mountains that lay just beyond the city limits. For me, it’s the balance of a city situated on the land, not dominating it–yet–but growing as if from its soil. Unquestionably, year after year more fields fall prey to the bulldozer and housing track, but a movement to restrain outward development has captured city hall of late. Flower or weed on prairie soil? These round bales reminds me of the corny old tour bussing joke when in answer to a question about them I’d ramble seriously upon livestock diet, and then slap them with the groaner about a debate raging over three square meals or a more rounded diet. Sorry, had to balance all those plains shots with a mountain one.